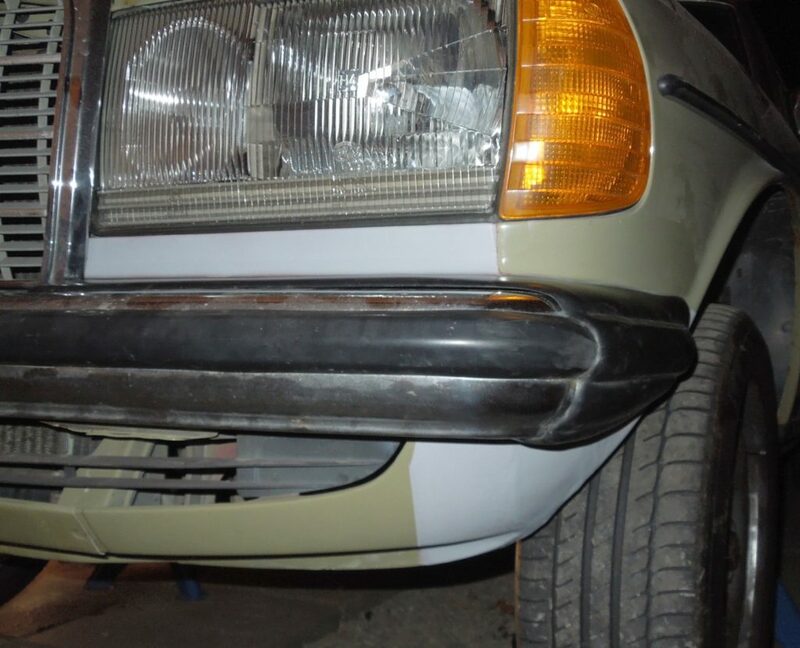 The front fender corners on w123 are usually the first thing to rust on these cars due to the factory seam acts as an rust attractor where water will get in eventually. The easiest way to fix this problem is to simply change out the front fenders. Some years ago they were still cheap, but prices are now rising dramatically in some areas. Also replacing the fenders has some issues as well. #1: They might not fit exactly and you will have to do minor body work anyway. 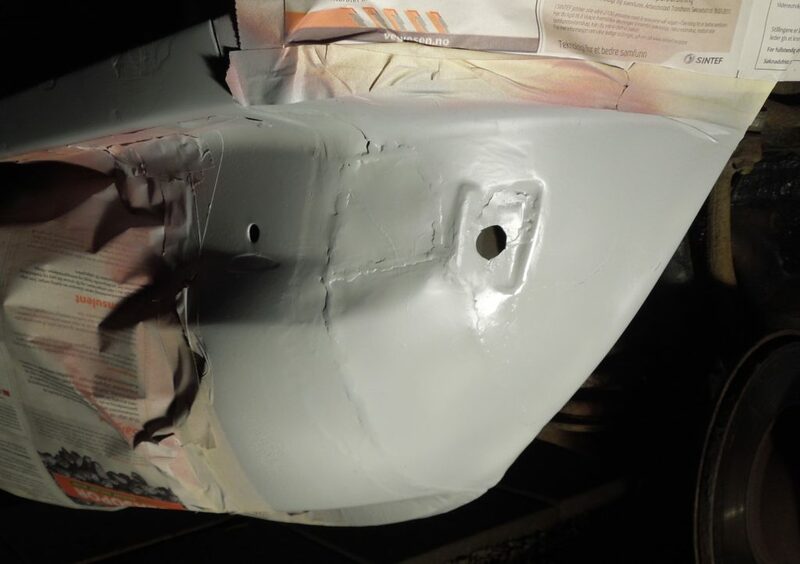 #2: The whole part has to be resprayed in matching colour of the car, this can be quite expensive and the colour might be hard to match exactly. 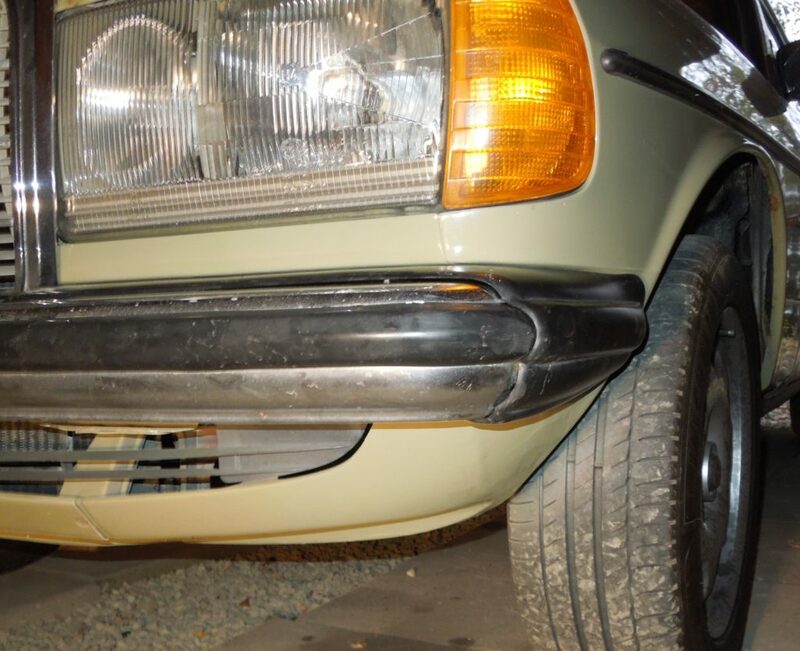 w123 front fender seam. Common rust attractor. 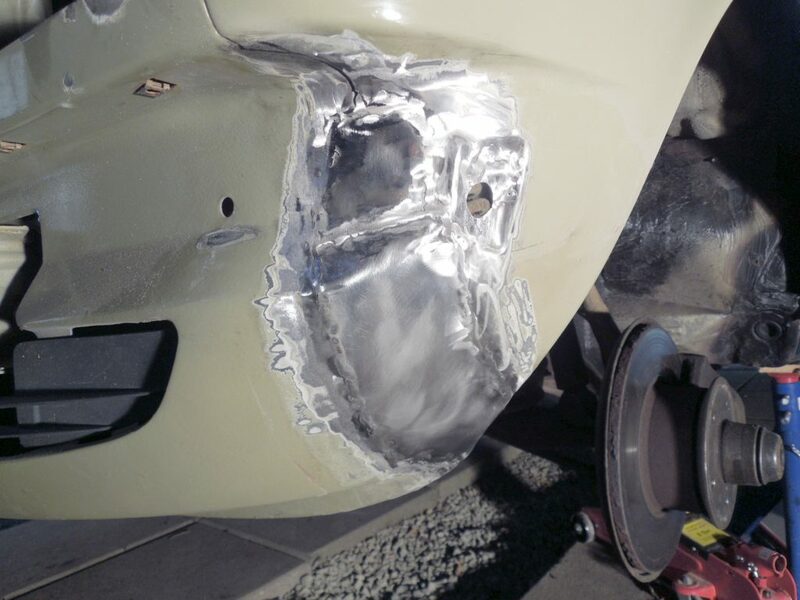 The second option which is cheaper, but more labour intensive is to fix the old fender yourself by welding. This will keep the originality of the car more if you care about these things. As a bonus you will get rid of that seam permanently too, however this will leave a small sign that it has been repaired. I personally think this seam is an ugly feature of the car and that Mercedes really skipped on production costs when making this panel. I have fixed in total of four front fenders for two different cars with this method and have been successful. It can be done with either the front fender off the car or just leave it on, it all really depends on haw bad the rust is. 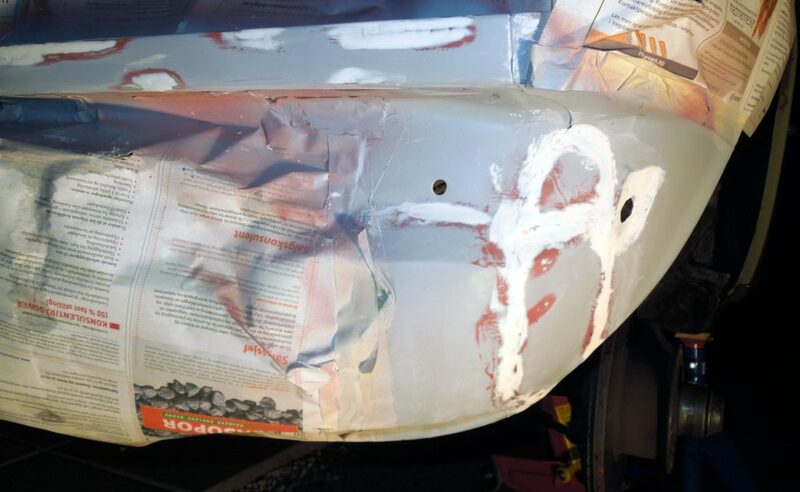 If you are taking the fender off then you have to be really careful of not scratching the paint which is easier said than done. If you can leave it on the car then it is preferred. 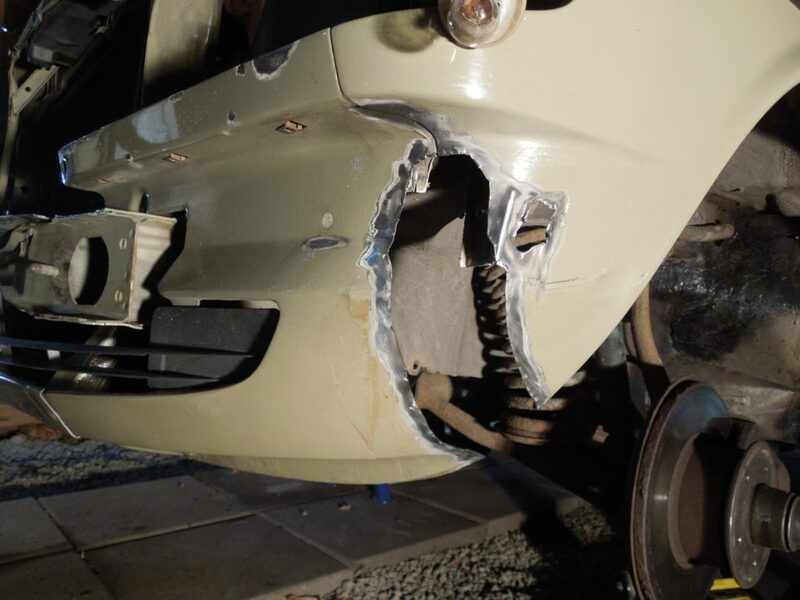 Start by removing the front bumper, it is only secured by two big bolts in the front then two small one at the corners. Locate the rust, start picking out the flakes and the damaged paint to located the where the good metal is. Then start cutting with the power grinder. Cut at least 1-2cm from the rusted metal to ensure only healthy steel is left. 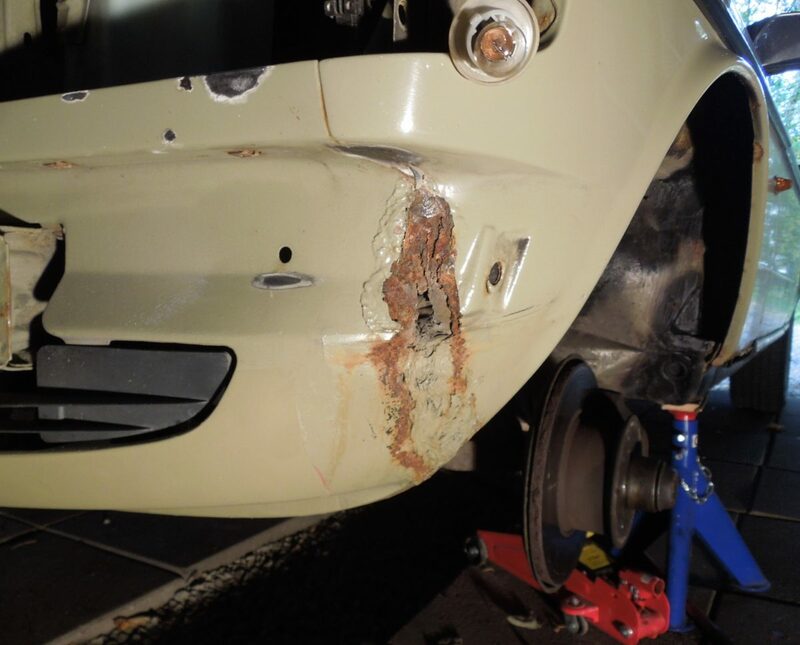 As you can see the hole is much larger than the apparent rust area, everything has to go. Now the hole is defined, then take some sheets of paper, thick paper is better, then use a marker to outline the shape you will need to obtain in order to cut the metal. Once you have cut out the sheet of metal, the shaping starts, also you will need to fine cut it. so it fits exactly over the whole. This part is where you should use most of your time to get it right, since a right fitting is crucial to get a good weld seam. On this section I used in total 3 separate pieces of steel. One for the big curve, one for the top area under the bumper, then one small one for the bumper bolt hole. After it is welded you should start polishing the metal to the bone to get id of deposits, then the seam needs to be grind down, use a floppy grinding disk that will follow the contours of the surface more. It is important to not grind too much so there will be holes, remember the metal is quite thin! Any last details have to be smoothed down with body filler. 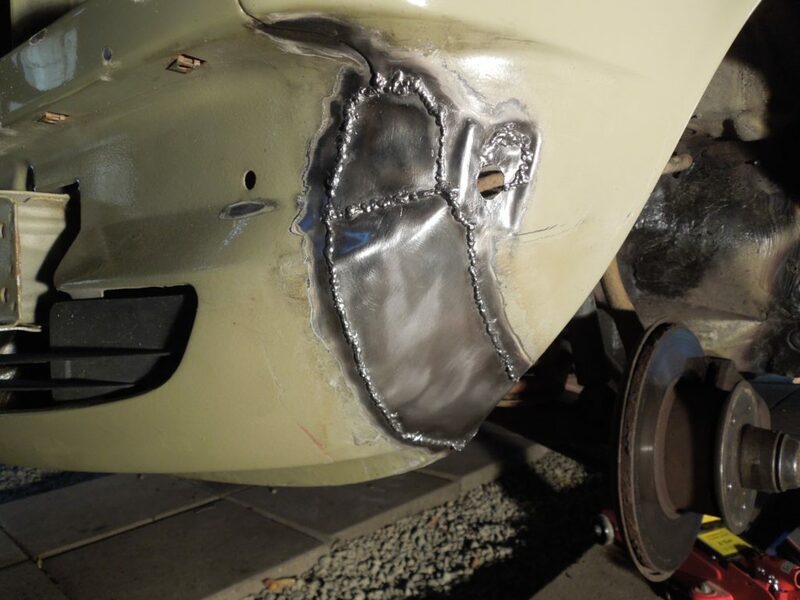 Remember a good weld will minimize the amount of after work with filler, so you should try to make this first step as good as possible. 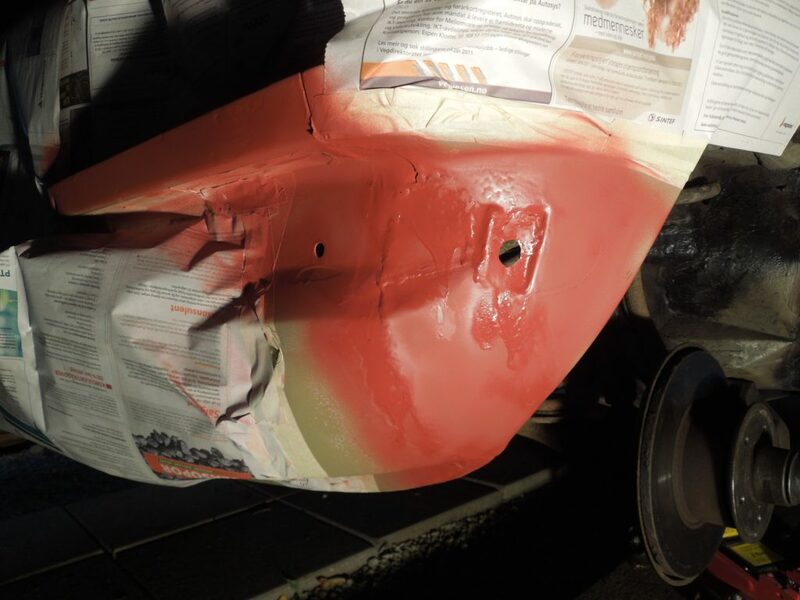 Then the rust protecting base coat have to applied before the body filler. Many use body filler before the base coat, this is not recommended since body filler can attract moisture. Start applying body filler to smooth out the last irregularities. When working with car cosmetics the rule is usually greater result with more time spent, but time is precious and only use the time necessary to get the result you want. 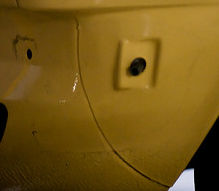 The area which is going behind the bumper doesn’t have to be perfect since no one sees it. Also remember the back side where all the dirt and stone chips are hitting. This should have a thick layer of paint of any colour and some body protective coating that can withstand stone chips. Use the sand paper to smooth the filler down and feel with your hand that you get the result you are looking for, you might end up doing this two or three times and a fast drying filler makes things quicker. Apply the second and third base coat after. Then let it dry completely before you start spraying with the nice top paint. Be sure to use many thin layers instead of one thick one which will start running, then all your work is ruined. The hardest with paining is definitely making an even coating without it starting to run. I couldn’t paint the top coat the same week, so I had to use the car with the paint like this for while. But this is anyway how it looks if you don’t paint your car in the same colour. So then when possible paint the top colour to make a perfect finish. I was quite pleased with the result, no seam and smooth finish, basically no trace of former rust.